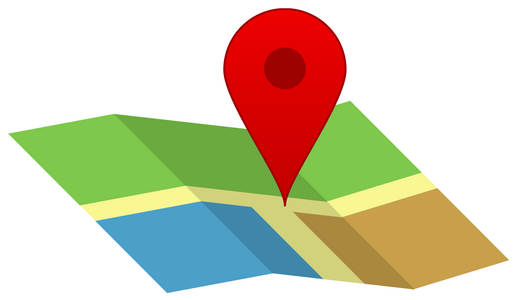 Discuss: How can libraries support “The Right to Peace”? In 2016-17, the “Libraries for Peace” Initiative invited librarians and libraries to advance the UN Sustainable Development Goals. Click here to pledge to build a peaceful and sustainable world. Source: The Sustainable Development Agenda. The United Nations. World leaders at the United Nations (UN) Sustainable Development Summit (25-27 September 2015) adopted the 17 Sustainable Development Goals (SDGs) of the 2030 Agenda for Sustainable Development. It is an ambitious plan that took effect 1 January 2016 to end poverty by 2030 and universally promote shared economic prosperity, social development and environmental protection. GET INVOLVED (see the UN’s list of actions), and INVOLVE YOUR LIBRARY (see IFLA recommendations and resources below). 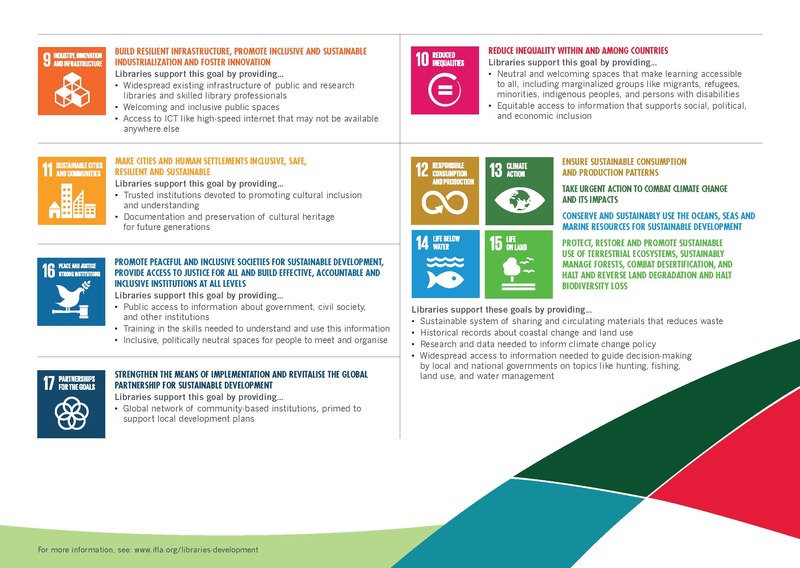 Since 2012, the International Federation of Library Associations and Institutions (IFLA) has been actively engaged with initiatives that led to the adoption of the 2030 Agenda. IFLA, the global voice of the library and information profession, calls on library associations, libraries and librarians to further development and provides resources to promote this effort. 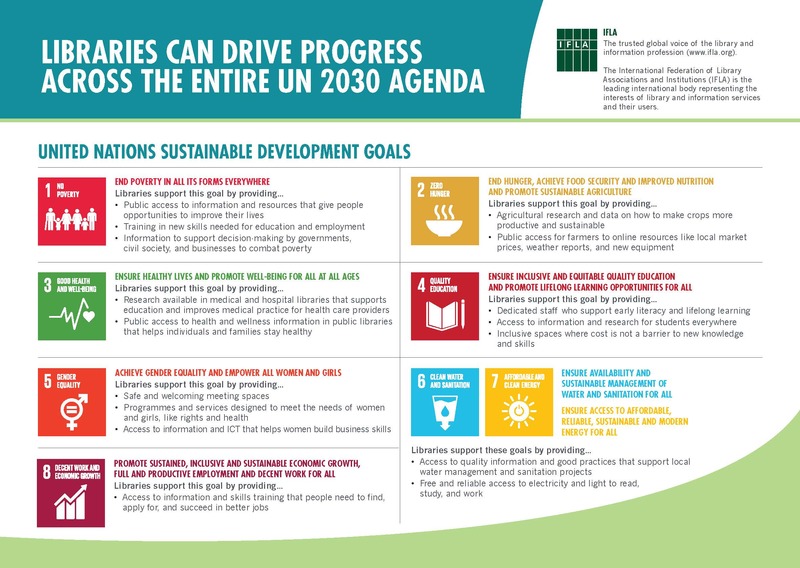 See below their recommendations on how Libraries Can Drive Progress Across the Entire UN 20130 Agenda.